Our leading game brands were designed with a single purpose in mind – keeping our users entertained! 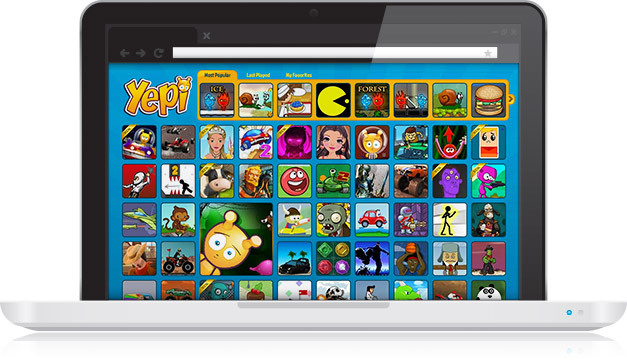 Yepi is a leading brand in the online games industry, offering over 600 top-quality games and an international flavor, featuring 15 different languages. Over 6,000 games await our avid users! 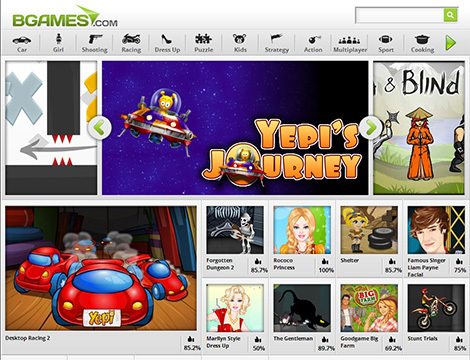 Bgames features an amazing layout and is updated daily. Players: Girls & Guys, focusing on teens (16+) and reaching up to adult casual gamers. Huz was designed with special care and attention to provide a 100% safe, friendly environment with filtered content. With its wholesome, pure fun, Huz keeps players entertained for hours! A magical kingdom fashioned just for girls, inhabited mainly by princesses and models. Dressuparcade provides a wide selection of Makeover and Dress-up games which every little princess will love to command. A classical website characterized by an unusual design and cool social features. 1967 offers more than just a play experience, allowing gamers to express themselves by rating all their favorite games and commenting on them.